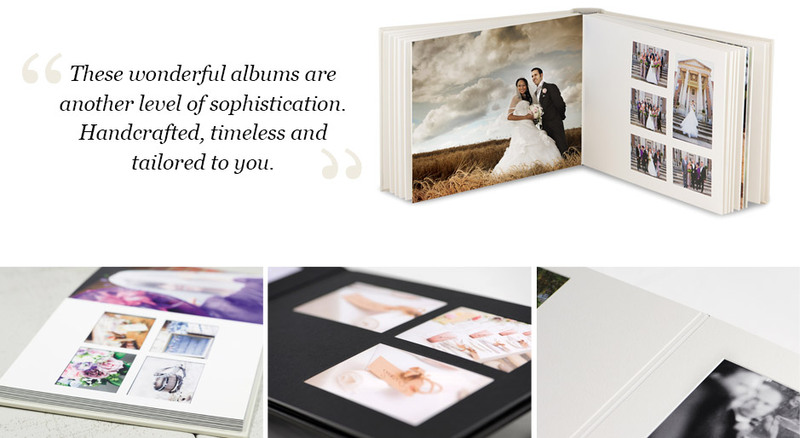 As well as offering a high-end photographic service, we also offer the finest handmade, luxury books and albums. Show yourselves off in a different light. Our stunning handmade, printed and mounted books and albums are produced using the latest technology for absolute precision, but with a beautifully elegant touch. The Matted Album offers the best of both worlds, combining the full flush mounted edge-to-edge pages of the Classic Album, with traditional bevel-cut apertures. This elegant product is produced using the latest computer cutting equipment for absolute precision and is individually hand-built to create this timeless look and feel.